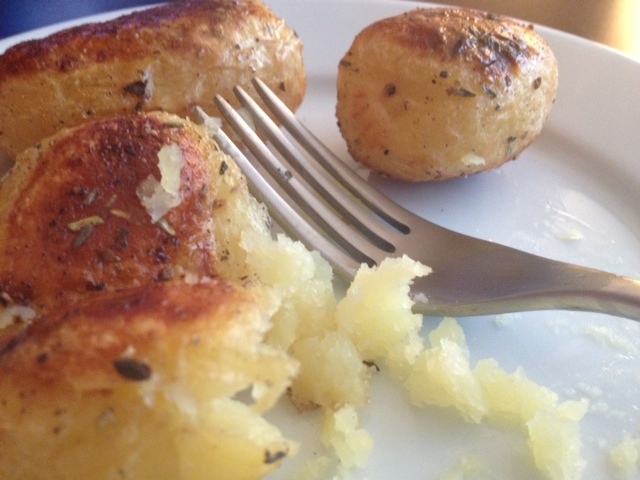 Roasted Potatoes With Olive Oil, Herbs, Salt & Pepper. While visiting my husband’s family in Wales, my Mother-in-Law Gilly made many lovely roast dinners. 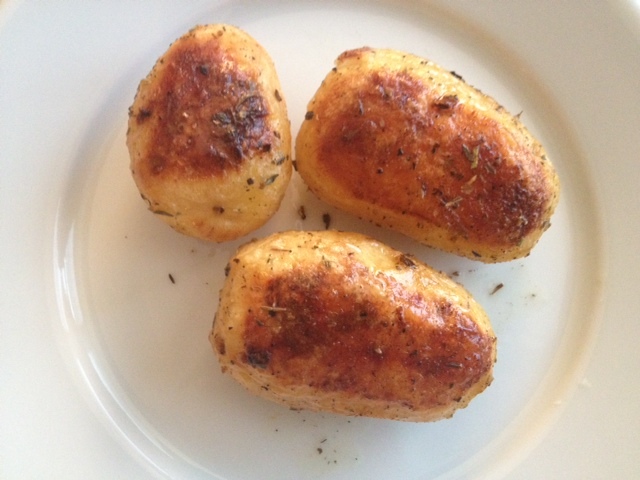 One of my favorite parts of her dinners were the perfectly golden and crisp roasted potatoes. There’s nothing fancy about them really, they are simple and delicious. 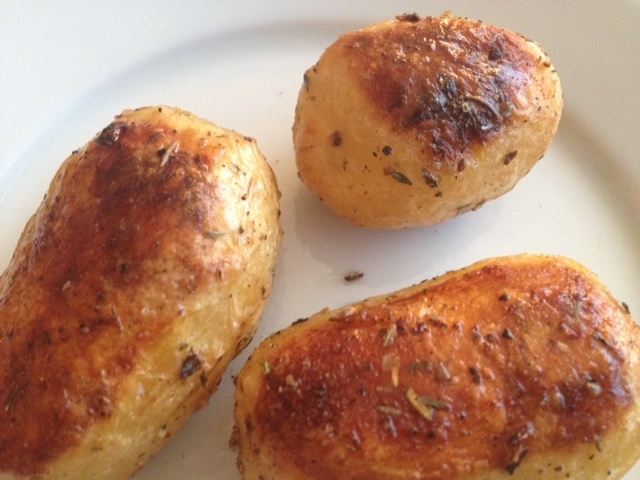 I recently got her recipe so I could give these potatoes a try myself and they were a success. My husband was quite happy, too! 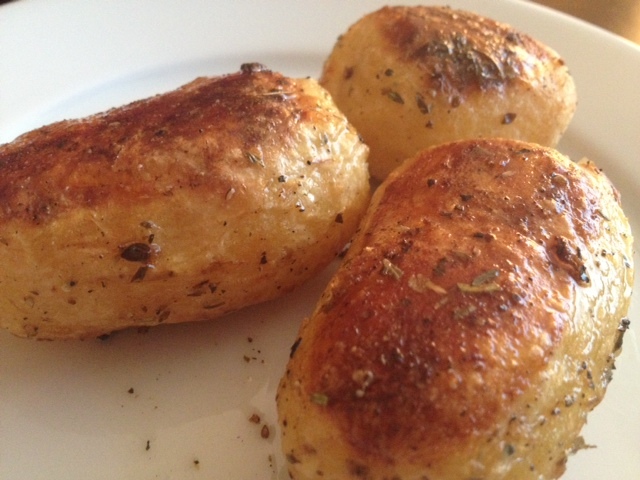 These potatoes would make a great side dish to any meal. 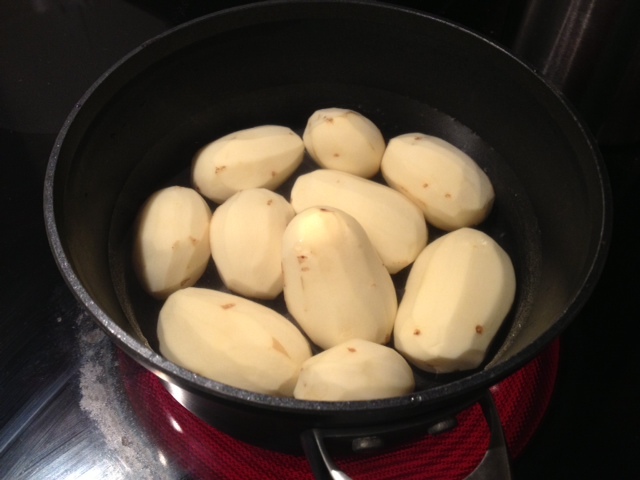 Boil the peeled potatoes for 5-7 minutes in lightly salted water. 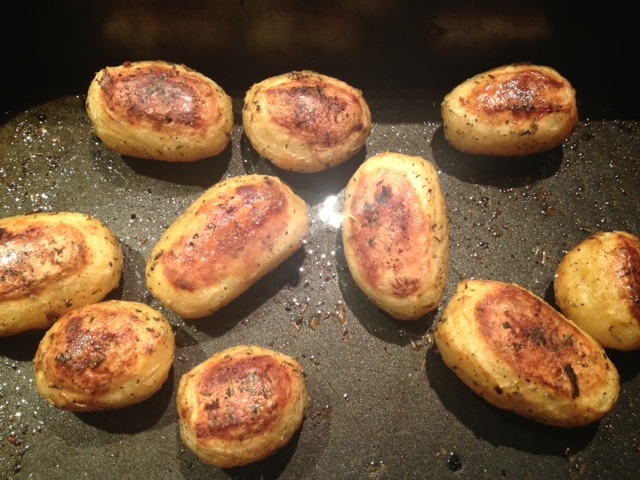 While the potatoes are boiling, heat a roasting dish with olive oil (coating the bottom of the pan) in the oven at 400 degrees. Strain the potatoes and then shake them vigorously in the strainer so the surface of the potatoes is roughed up a little. 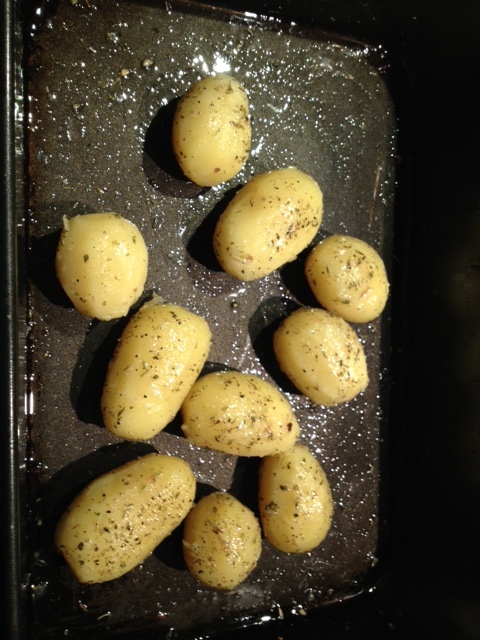 Remove the roasting pan from the oven and gently add the potatoes into the hot oil, turning them so that they are coated in the oil. Sprinkle with salt, black pepper and dried herbs and then put in the 400 degree oven. After 30 minutes, turn the potatoes to brown the other side and then cook for an additional 30 minutes. Love this one, Bets! These look amazing!